Akash Kalita: 13 Features of Toyota Yaris that you did not know. 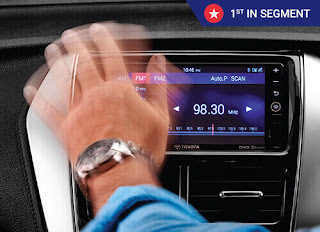 The entry-level luxury sedan segment in the world of the automobile has become a very competitive platform. 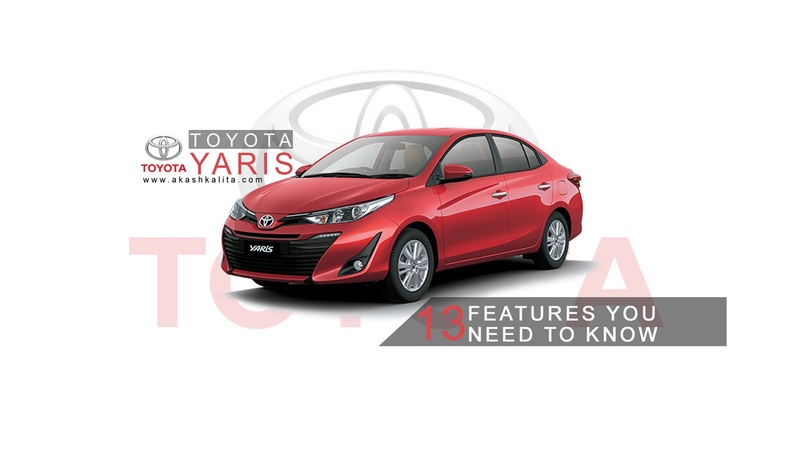 With cars like Hyundai Verna, Honda City, and Maruti-Suzuki Ciaz already dominating the segment, does the Toyota Yaris stand a chance against its fierce competitors? The Toyota Yaris might be late at the party but it does have few tricks under its sleeve to start a whole new rock concert of its own. So, despite being unable to crunch the numbers, why should you consider the Toyota Yaris in your list, next time you go shopping for a sedan? Here are the reasons why you should. Toyota like with its every vehicle did not compromise with safety while building the Yaris. 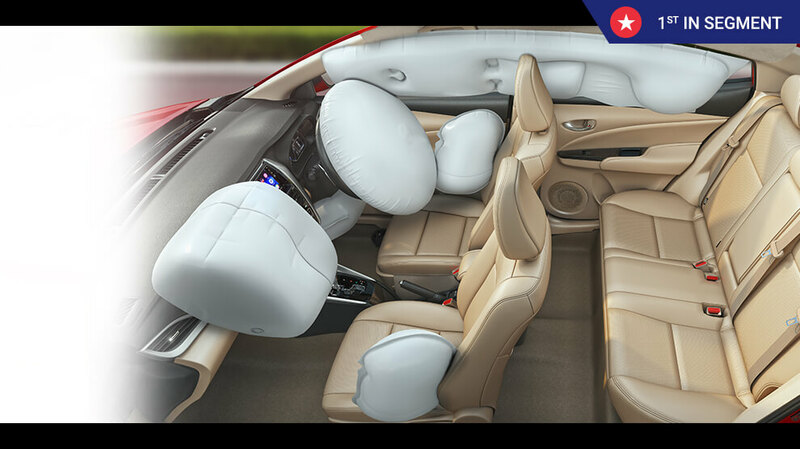 The Toyota Yaris along with ABS, EBD, BA, and Vehicle Stability Control also comes equipped with 7 Airbags as standard across all the variants. 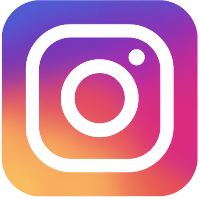 The sun although is the main source of energy for life on earth, its infrared (IR) radiation can cause skin cancer. Therefore, to ensure the safety of the passengers from the harmful IR radiation of the sun, Toyota has equipped the Yaris with High Solar Energy-Absorbing glass to filter the IR radiation. This also helps in faster cooling by the AC which enhances the comfort of the passengers in the cabin. 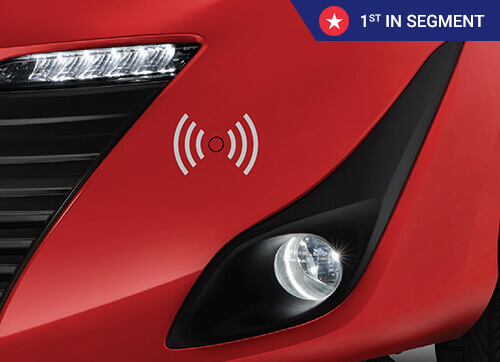 The Toyota Yaris along with reverse parking camera and rear parking sensors comes equipped with front parking sensors to help you park the vehicle in the trickiest situations without scratching the bumper. Pretty cool eh! 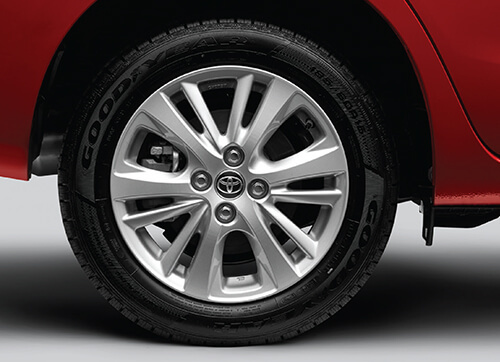 Tyre pressure greatly influence the handling and braking of a vehicle. 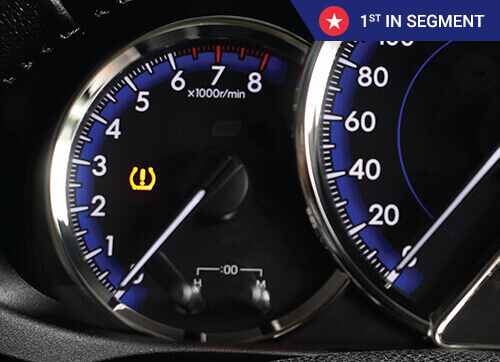 Improper tyre pressure can cause a vehicle to become unstable especially at high speed and cause an accident. The Tyre Pressure Monitoring System or TPMS in the Toyota Yaris indicates the drop in the tyre pressure below the optimum pressure to prevent any mishap that might occur due to change in the tyre pressure of the vehicle. Most vehicles come equipped with reflectors on the rear bumper but the Toyota Yaris comes equipped with functional rear fog lamp to increase the visibility of the vehicle to the vehicle behind especially on a foggy night. The rear middle passenger while in a Toyota Yaris gets no chance to complain about the bump on the floor as the Yaris comes with a flat floor bed in the rear to ensure comfort for every passenger for an enjoyable journey. 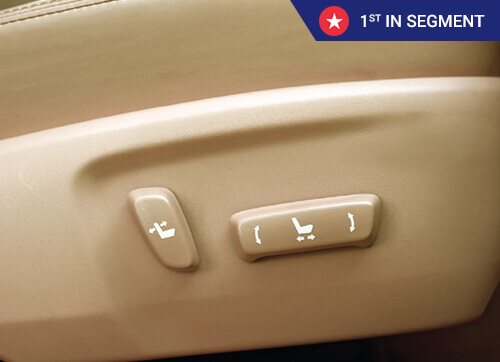 The middle rear passenger gets his or her own adjustable headrest as well. 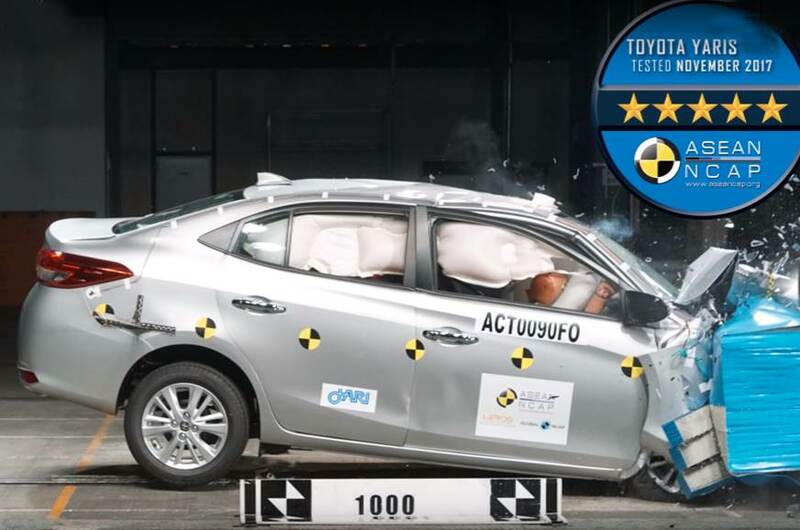 The most important of all, the Toyota Yaris has scored full 5 stars in the NCAP crash test. So, if you are in a Toyota Yaris then you do not have to worry about safety as it is like all Toyota vehicles is made like a tank to ensure the safety of you and your loved ones. 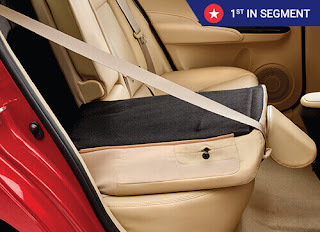 The driver seat in the Toyota Yaris is fully electrically 8 way adjustable. 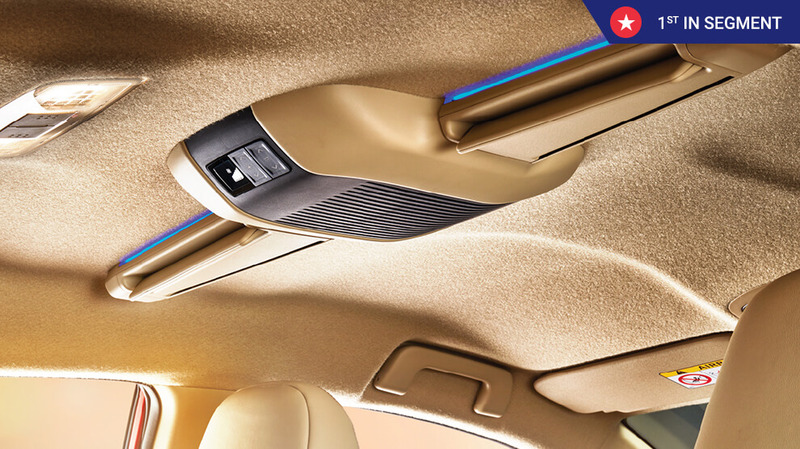 The rear passengers in the Toyota Yaris no longer have to complain about the discomfort due to heat as they get their own personal roof-mounted air vents with adjustable airflow and adjustable direction that circulate the air to the rear passenger. The rear seat in the Yaris is 60:40 splittable to free up more space for the luggage for situations when even the massive 476-liter boot is not enough. The Toyota Yaris along with ABS, EBD, and BA comes with all-wheel disc brakes so that you can stop the Yaris on a dime when required. The touchscreen infotainment unit in the Toyota Yaris can be controlled simply by hand gestures without actually touching the screen.